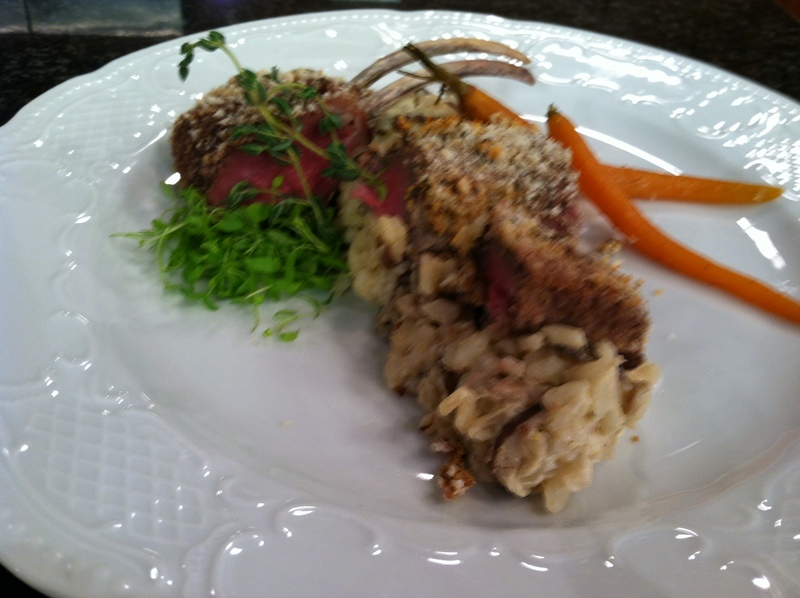 As many of you know, each month I present a “where to dine” restaurant segment on WCNC’s Charlotte Today program. 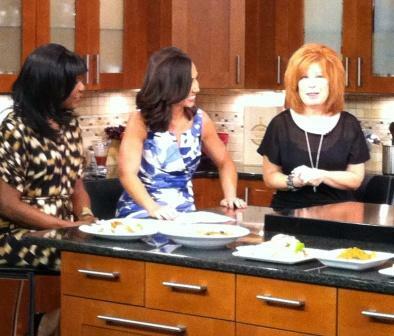 Every 4-6 weeks the show’s producers and I select a topic or theme and I choose 5-6 restaurants to chat about on air. As February is the month of hearts and flowers, this month’s challenge was to gather a group of Romantic restaurants to share with Charlotte Today viewers and this Blog’s readers. There was a time in here in Charlotte that gathering this many outstanding chef driven restaurants may have been a daunting task, but in 2014 there are lots of wonderful restaurants I could have put on this list – I chose the six that for me ( and my hubby Tom Billotto) have come to be the most romantic. For me, a part of that is that these are all chef-driven establishments, with chefs, sous chefs pastry chefs and line chefs who all cook from their hearts. That love and passion is conveyed in the cuisine, making dining out a true pleasure for the mind, body and soul. No matter if you are just kindling or trying to respark the fire, Romance doesn’t just happen on Feb 14 – enjoy a romantic dinner any night of the week and know that these fine dining establishments run wine tastings and dinners, special cooking classes and prix fixe menus at all different times of the year, as do many of Charlotte’s chef-driven and independent restaurants. I’ve added notes about upcoming February events at each post as well as links to all of the restaurant websites at the end of this article, so start making plans now and plan to try them all – There was never more wonderful time in the Queen City, with more possibilities for delighting in dining aux deux, than now…enjoy! To enhance the video and the chat with show hosts Colleen Odegaard and Ramona Holloway, I ask restaurants to prepare a plate that I can pick up and assemble at the studio – its like having something special to share for show and tell. Many thanks to all the featured restaurants chefs and sous chefs for helping me out with product for the February segment. I wish I had taken more behind the scene shots this time. Chefs, sous chefs, pastry chefs and restaurateurs gave me each component of the dish as well as a hand rendered drawing or quick tutorial at pick up as to how to assemble it all. As this segment was on a Monday morning and most of these restaurants weren’t open on Sunday, chefs came in early Monday morning or prepped things for me late on Saturday night or actually came in on Sunday, to help it all come together. I can’t tell you how appreciative I am of their extra efforts to help me boast about the quality and high caliber that is now standard in the Charlotte restaurant arena . While these are not the only great restaurants in the Queen City, this group of six is great representation of all Charlotte has to brag about. All of these restaurants are ranked at the top of lists of kudos, yielding recommendation’s not only from this food writer, but from the likes of Zagat, AAA’s Four Diamond Awards in North and South Carolina, Open Table, the Wine Spectator, DiArona, The Food Network, AOL restaurant rankings, and more. Check individual websites for all the accolades. To that end, it goes without saying that service, atmosphere and cuisine, too, are all spot on at each and every one of these places; no such thing as a bad choice here. Here is my short list of a half dozen of my favorite Romantic restaurants in Charlotte. The video from the Charlotte Today segment follows. First on my list is Bonterra Dining and Wine Room. This may be the most romantic restaurant here for me because I met my husband Tom at a mutual friend’s wedding at Bonterra and my life has been a wonderfully romantic whirlwind every since. In fact, while we were married out of town, we had a big party after our wedding at Bonterra. Many couple in Charlotte have weddings, rehearsal dinners and big engagement parties at Bonterra. The historic building, refurbished and owned by John “JD” Duncan, was once an old church and simple has an air of romance about it. 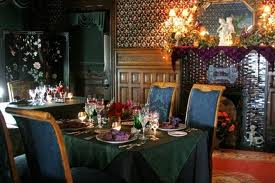 The dining room offers open seating at tables for 2 to 8 and can accommodate larger parties as well. Seating at the bar as well with over 200 outstanding wines offered by the bottle and by the glass. Its fun and romantic to each order a different by-the-glass pour and then share sips along with something from the bar bite menu or a cheese tray before dinner. 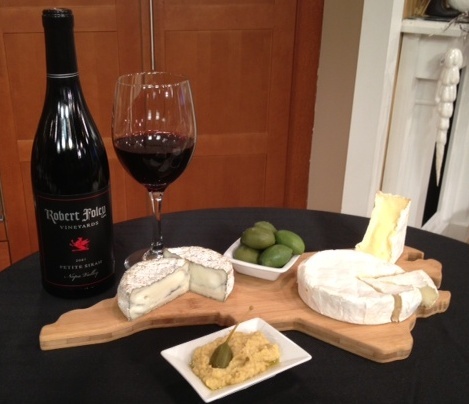 The bottle of Robert Foley Petit Syrah is one of our favorites and I included it in the photo as a shout out to our good friend Bob Foley, winemaker extraordinaire! With small tables au deux tucked in the alcoves, a private balcony upstairs and a wine cellar downstairs for private dinners there are plenty of places to sit snuggled away from the main dining area if you would like a bit of privacy while you dine. Coming soon at Bonterra – a “Girls Night Out” wine dinner on Wednesday Feb 5 featuring Ponzi Wines; regular bar specials each night; and a Thursday night wine dinner as a part of the upcoming Charlotte Wine & Food Weekend in April. Next up, for a romantic evening on the town, the McNinch House Restaurant. Located in Charlotte’s Historic Fourth Ward neighborhood, this Victorian-era house was originally home to Charlotte Mayor Sam McNinch; now for the past 22 years it has been the McNinch House Restaurant. 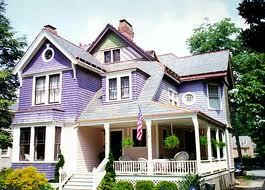 Beautifully appointed, the home is owned by Ellen Davis, a front runner on Charlotte’s ever growing culinary landscape. McNinch House recently won its 16th consecutive Four Diamond designation from AAA, is listed as one of the top “extraordinary” restaurants in America by Zagat’s Dining Guide. Davis was Charlotte’s original street vendor, back in the late 1980’s early 1990’s as she sold hotdogs from a cart while the house was being renovated to become a restaurant on the main floor with her private residence on the floor above. There are no menus at the McNinch House. When you make a reservation, you order your entrée on the phone and then the rest of the meal is built around your selection using seasonal produce and proteins. The restaurant offers several selections of prix fixe menus: A classic 7-course menu which includes appetizer, soup, salad, sorbet, entrée, cheese and dessert for $99 per person ( plus beverages, tax and gratuity) or a 5-course menu at $79 per person ++. 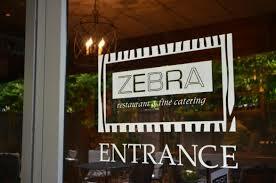 My third suggestion for Valentine wining and dining is Zebra Restaurant in the SouthPark area. 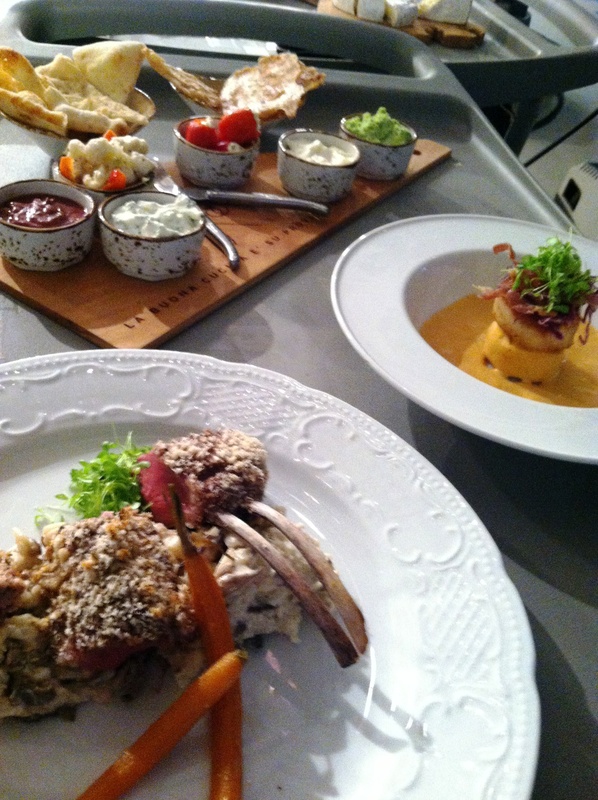 Zebra offers fine continental cuisine with French influences. Since Inception, Zebra has been recognized with numerous honors and awards of distinction. including OpenTable Diners Choice, Zagat Best Restaurant, Wine Spectator Magazine Award of Excellence, and AAA Four Diamonds for eleven consecutive years. With two adjacent dining rooms the restaurant also offers seating in a small intimate room off the bar and when weather permits out on the beautiful, newly decorated patio. Owned by Chef Jim Alexander, Zebra serves breakfast lunch and dinner, is a great spot not only for romance but for the corporate breakfast and lunch crowd as well; and in addition Zebra is hosting several monthly wine dinners in the next several months. 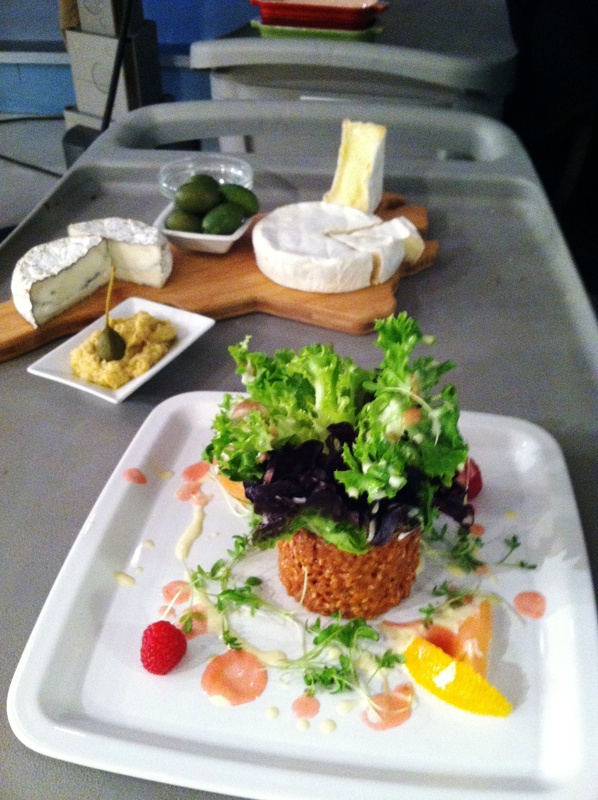 Zebra also offers on and off site catering for private parties and events – call the restaurant for details. 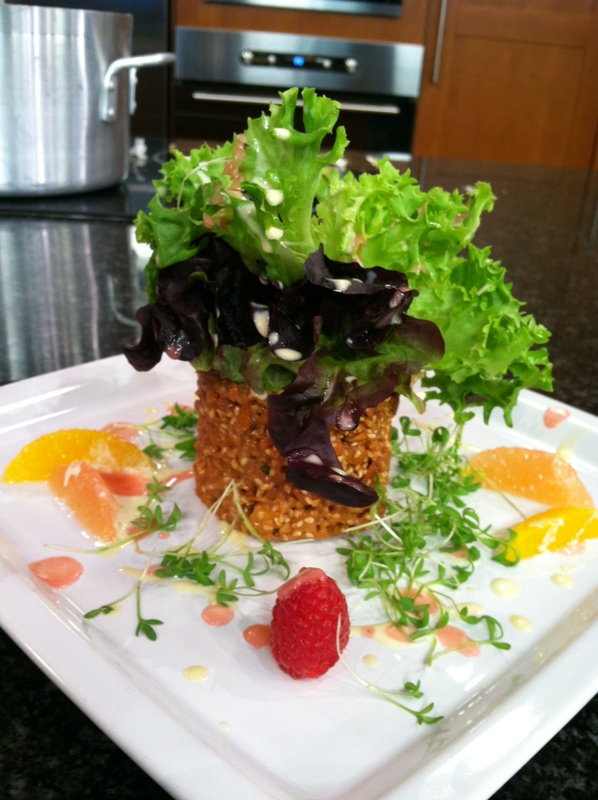 In the Charlotte Today segment we featured Alexander’s signature salad at Zebra – a delightful presentation that will make your sweetie smile! Zebra sous chef Chris Wriggle gave me a quick tutorial on how to put it together and I believe I did Zebra proud. Local organic greens gathered in a tuille vase, dressed with a raspberry vinaigrette and honey Dijon and finished with a garnish of local Tega Hills Farm’s micro greens. As delicious as it is beautiful. Entertainment at Zebra – music always sets the mood for romance; so its nice to know that on most Friday nights in February, Zebra features live guitar music in the bar with a bar bites menu and tasty $12 wine flights. This month guitarist Harry Bell performs on Friday Feb 7; and my favorite musician in town, Tom Billotto on guitar and vocals on Friday Feb 21 and Friday Feb 28 from 6-8 or 9 pm. if I am not working, I am usually in the crowd – the official groupie in the room – so I hope to see you there! 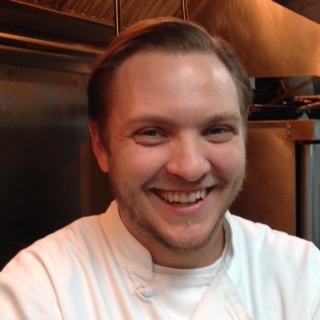 Chef Chris Coleman is now the executive chef and director of food and beverage for The Asbury at The Dunhill Hotel. 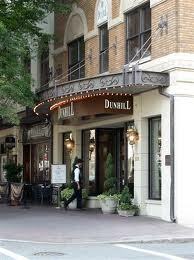 Named in honor of Louis Asbury, Sr., the Charlotte architect who designed the Mayfair Manor—now The Dunhill Hotel—in 1929, The Asbury celebrates the best of what the South has to offer in ingredients, technique, creativity, and, of course, hospitality. The Asbury is a tribute to Chef Coleman’s southern roots and the culturally diverse community of the New South from which he draws inspiration. What could be more romantic? Its a fabulous hotel dining experience where you can whisk your Valentine away after dinner and maybe a nightcap a the bar to a hotel room right upstairs if you’ve got a mind; and then go and enjoy the restaurant all over again with room service or breakfast downstairs in the morning. In fact, with a great baby sitter and tickets to a show or concert uptown you could make it a one stop weekend for Valentine romance! 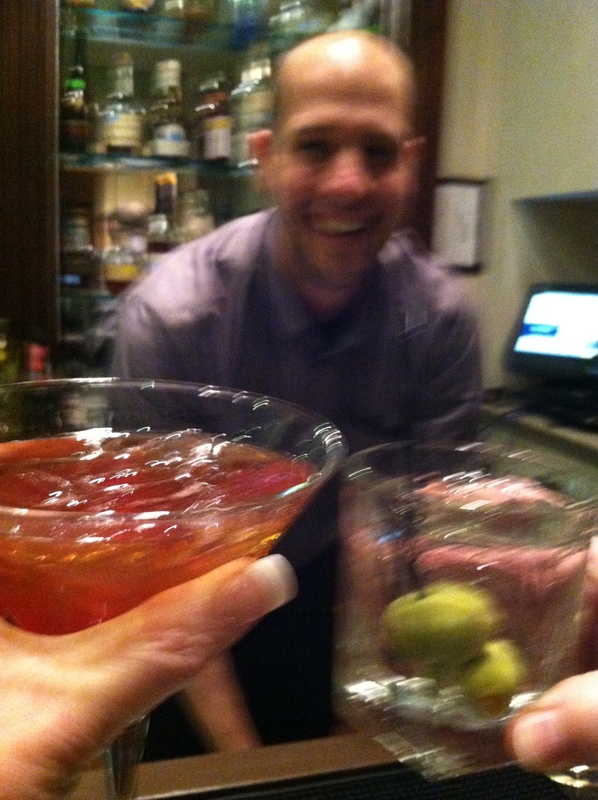 The Asbury boasts a wonderful little bar where bartender Pete Ladino makes everyone feel right at home. Go old school and enjoy a cocktail or sip on a glass of wine and preview the cuisine with something from the bar bites offerings. Once seated for dinner, you’ll be wowed with Chris’ eclectic Southern menu in the restaurant featuring as much local product as Chris can source. 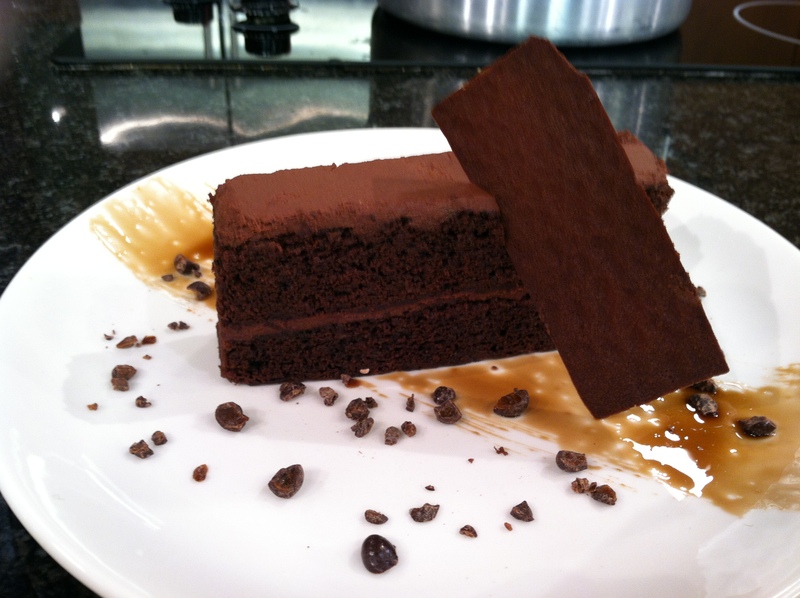 And then be prepared to be blown away by the talent that is Asbury pastry chef Patty Greene. 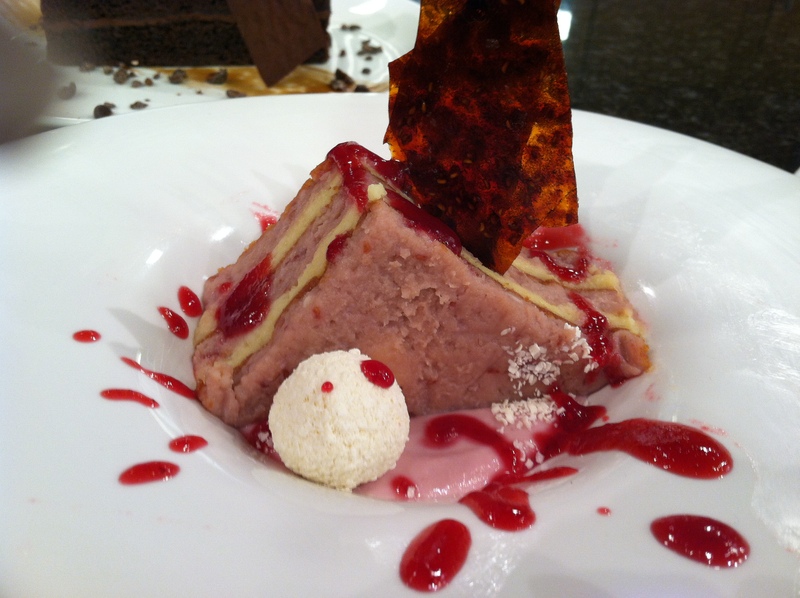 Unable to select just one, I featured two of Patty’s desserts on the show – first a unique take on raspberry cheesecake and then a chocolate espresso cake, my oh my! Fifth up, another newbie for Charlotte diners from a much loved and admired chef – Bruce Moffett’s newest jewel in the Moffett Restaurant Group triple crown – Stagioni! After much success with Barringtons and Good Food on Montford Moffett opened Stagioni about a month ago now to rave reviews. The menu is decidedly Italian, with an all Italian wine list of delicious pours. Moffett and his team lead by executive chef Larry Schreiber have kept true to traditional Italian recipes like porchetta, arrancini, homemade pasta, and wood-oven baked pizza but have put their own little twist on things here and there. The menu at Stagioni – “four seasons of food”, is of course, seasonal; and as I have eaten my way through winter I cannot wait to see what’s in store for spring. 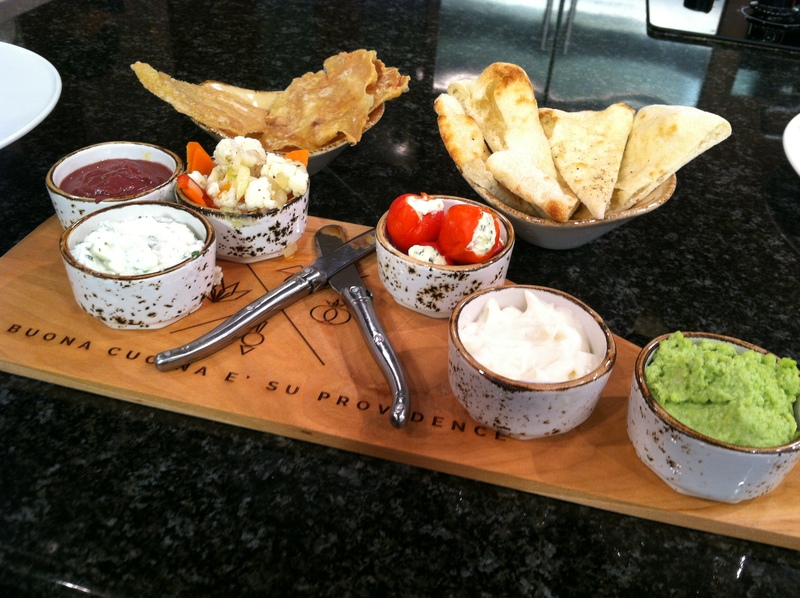 For the Valentine segment, we features a board of Stagioni’s snacks and spreads, such as fava bean spread, liver pate, puree of cauliflower with truffles, stuffed peppadew peppers, tapenade and more with flat bread toasts and delicious fried chicken skin “chips” – perfect for the two of you to share while you make your dinner choices. 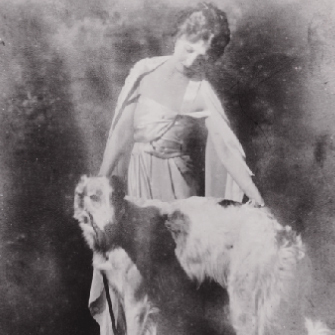 The historic house was once home to Blanche Reynolds-Gourmajenko who loved to entertain and the villa traditionally served as a grand place for people to gather at the parties and dinners Blanche hosted. They say that Blanche loved the home so much that she hasn’t left and her spirit haunts the estate. All I can say is that Blanche must be very happy having people gather round the tables in her home once again surrounded by good food and drink. The softly lit small bar and dining room with open kitchen and seating in front of the wood burning pizza oven are all beautifully designed to keep the integrity of the original home, while offering a modern spin on dining out. 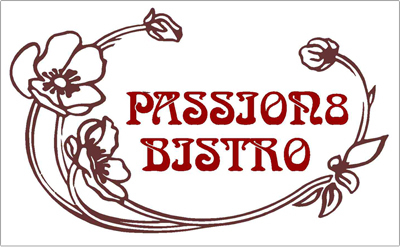 Finally, the last of these six romantic dining spots, Passion 8 Bistro – the name says it all. A place that is passionate about local farms, food, and service. Owned by chef Luca Annunziata and his lovely wife Jessica, Passion 8 Bistro has plans to soon move from its tiny home in Ft. Mill to bigger newer but every bit as romantic, digs in Charlotte on Elizabeth Ave. 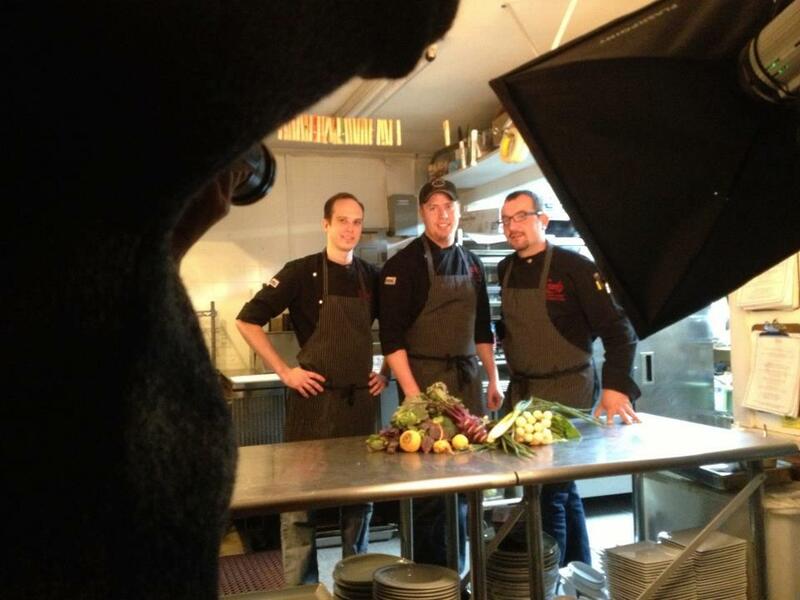 The group is still waiting for permits and construction to be finalized, but until the move Chef Luca and his culinary team Chef Matthew Krenz and chef Evan Micek, are still cooking up a storm in Ft. Mill, serving an all market menu every evening, supporting nearly 50 local farms in North and South Carolina. Get caught up in the passion this Valentine’s Day with a special prix fixe Valentine’s Day Dinner menu Friday, February 14th from 5:00pm to 10:00pm; 4 courses with choices for each course. $140 per couple. make your reservations now by calling 803-802-7455. 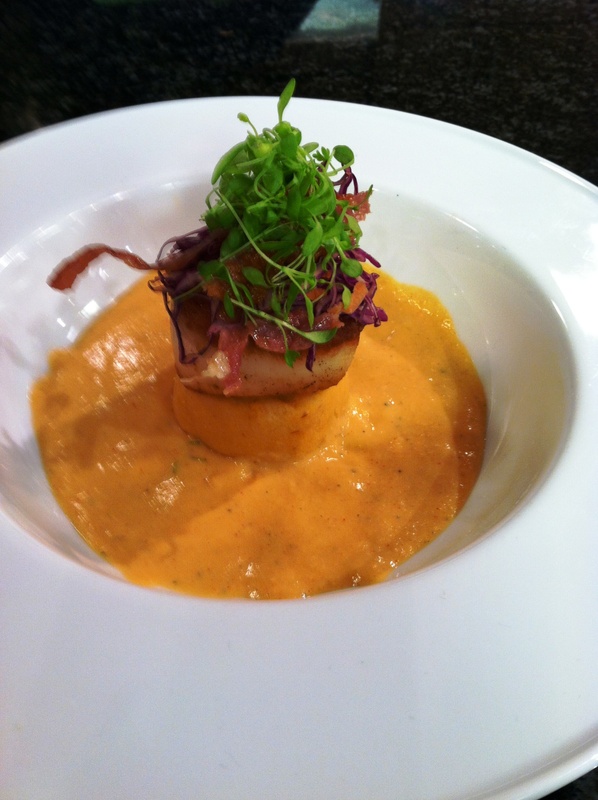 For the Charlotte Today segment we shared one of the first plates from the Valentine menu – a perfectly seared scallop atop a rounded cake of grits, topped with a red cabbage slaw, crispy pancetta and Tega Hills Farm micro greens surrounded by a pool of Charon sauce – a béchamel flavored with tomato. If you and your sweetheart enjoy cooking together, then start sharing the passion this weekend at a special Valentine’s cooking class at Passion 8 -Saturday, February 8th from 11:00am to 2:00pm 3 courses for $75 per couple with a champagne toast. On the Charlotte Today segment I announced that Passion 8 would be featured on a new Food Network show – Buy This Restaurant – to air Monday Feb 3. My mistake – the show premiered on Monday, but the Passion 8 segment actually airs on Wednesday, February 19th at 9:00pm on the Food Network http://www.foodnetwork.com/shows/buy-this-restaurant.html Don’t miss it! 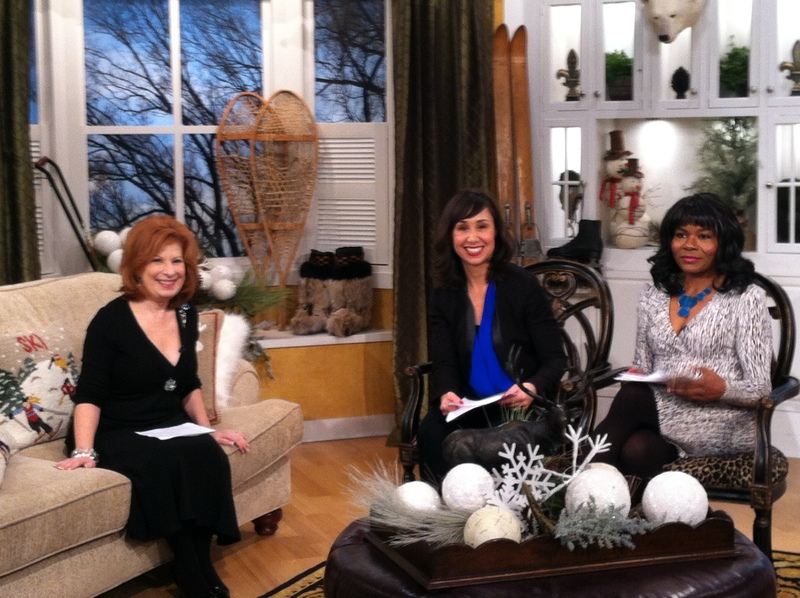 Now, that you’ve read all about it, click here to watch the video from my Valentine segment on Charlotte Today. 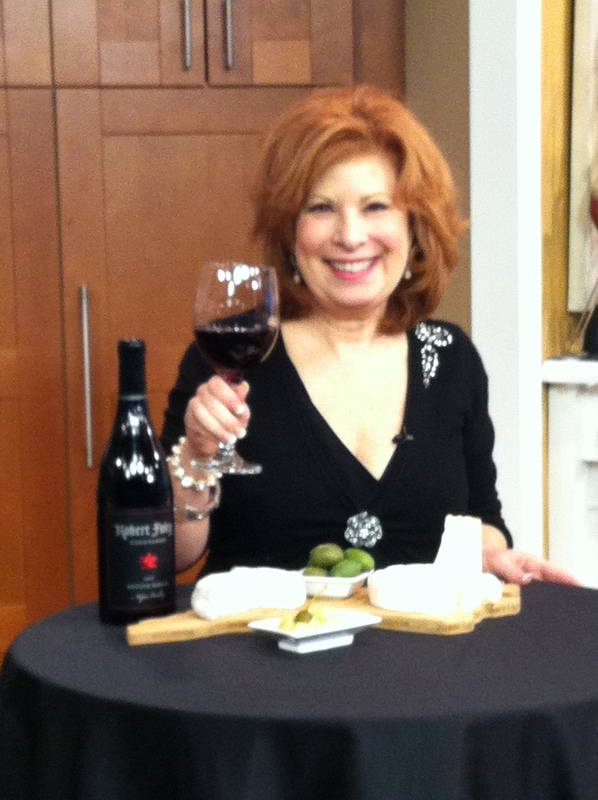 I’ll be back for my monthly cooking segment on Charlotte Today on Thursday Feb 13, Channel 36 – 6 on cable – with three great Valentine recipes for Fondue au Deux! See you then! Cheers! The Queen City has so many wonderful places to dine. I live in South Charlotte so I guess I’ll have to eat my way into Uptown. Thanks for the tips.